So you're getting married. Now what? You're about to embark on the most exciting (and sometimes stressful) experience of your life. We're professionals at this. Having shot over 50+ weddings in the past couples years alone, we know exactly what it takes to have an enjoyable day, and more importantly, beautiful photos as stress free as possible. We've put together a little list of the most vital things to remember on your wedding day and in the preparation beforehand (including how to have the best images). Your wedding photos become a family heirloom. Even after your wedding, after your life, your children and your children's children will look over your wedding photos and dream about how beautiful you are and how in love you looked. Whether we're your photographers or not, you deserve to have the best photos possible, and someone who cares about the process as much as they do, you. This guidebook is all yours. From wedding photography and our own information, to the ways you can best achieve a fantastic and seamless day, from beginning to end. I'll also be talking A LOT about how to ensure your day is captured wonderfully. Getting ready images can be SO beautiful, especially if you're spending the morning slowly preparing, getting ready, writing vows. The moments your parents see you in your dress or your bridesmaid gives in a sneaky gift, it's all beautiful. If you choose to have photo coverage of this time, here are a few things you can do to ensure your photos are extra special. If you don't have photo coverage of this, it's definitely not an essential part of the day to capture. These are likely not going to be the images you hang up on your wall, although they can be beautiful memories for everyone involved in the process. Natural Lighting: If you're getting ready in a dark enclosed room, maybe consider swapping to a room with beautiful window light and turn off those fluorescent lights. We'll adjust lighting when we get there, but you can make this much better for us by selecting a room that has gorgeous windows. If you're booking an airbnb/hotel, the interior design really doesn't matter as much as light does. Get your girls to set up right by the natural light to give your photographer the best chance of capturing those incredible moments. Keep the space tidy: Even if there are a dozen of you getting ready in one space, try and keep that one room clean. Designate one other room for just belongings, and the beautifully window lit room should be where everyone does their makeup, finishes their hair, gets dressed etc. Do a little sweep of the space before your photographers arrive to make sure there's nothing left around that you wouldn't want to appear in a photograph (solo cups, water bottles, tissues ie). There may be a lot of people in one space and tricky to keep tidy, but getting ready together is also very beautiful, so whatever means necessary to achieve both, will result in much lovelier images. 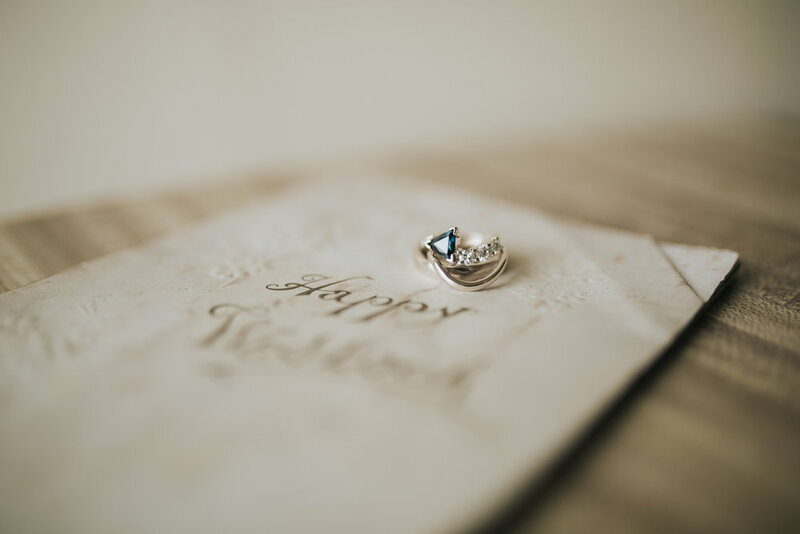 Details: If you have a bunch of beautiful details for your day, like your rings, invitation suite, shoes, jewellery, vow book, whatever it is, have them ready in a little box or area specifically for us to photograph. It will also help you find everything when you're in the frantic last hour of finishing up getting ready. This speeds up the process without us having to find everything. Try not to rush the little things, like putting your shoes on, or writing your vows. We want to capture little elements of that where possible (even if you're super organised!). Hair and Makeup Artists: This might not be entirely in your control, but it helps if your hair and makeup artist sets up by the window light to do your face/hair. Those ring lights and bright white lights can make for beautiful makeup, but very unusual looking images. Ask if they can do your finishing touches by the window so we can capture them for you. We don't need the whole hour or two of you getting your hair and makeup done, so just those last touches will do. Also, when searching for your artist, ask about their presentation on the day of the wedding; also not within your control, but it makes for such better images when your makeup/hair stylist is also looking sharp on the day! They are going to be apart of those memories forever. While not at all essential, the First Look can make your timeline SO much more seamless and can take a lot of pressure off your ceremony. It also makes for a much more simple transition from ceremony immediately into your reception without a long gap in between for photos, which can keep your wedding guests waiting. You should be celebrating with them and enjoying your day! Even if you're traditional or you're having a more traditional wedding, here are a couple reasons we believe a First Look will make for a much more stress free day. 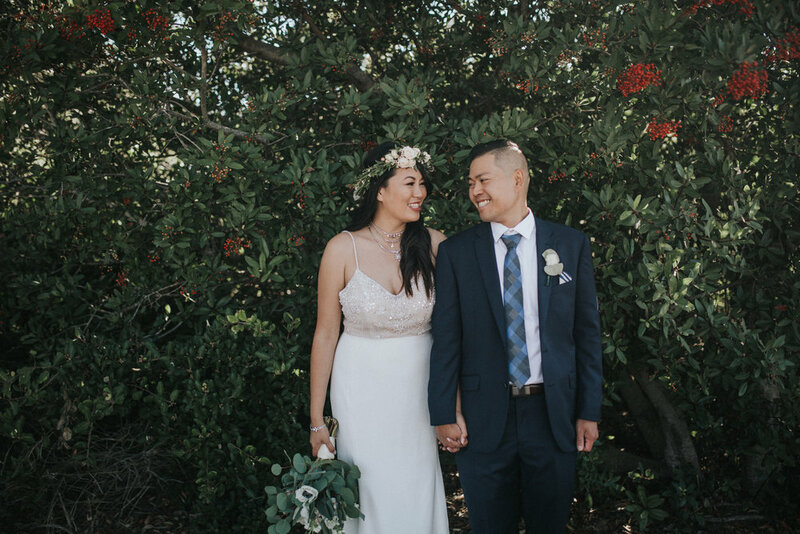 We will never ever pressure you into a First Look, but from experience, this is such a special moment and we love to see our couples take advantage of it. 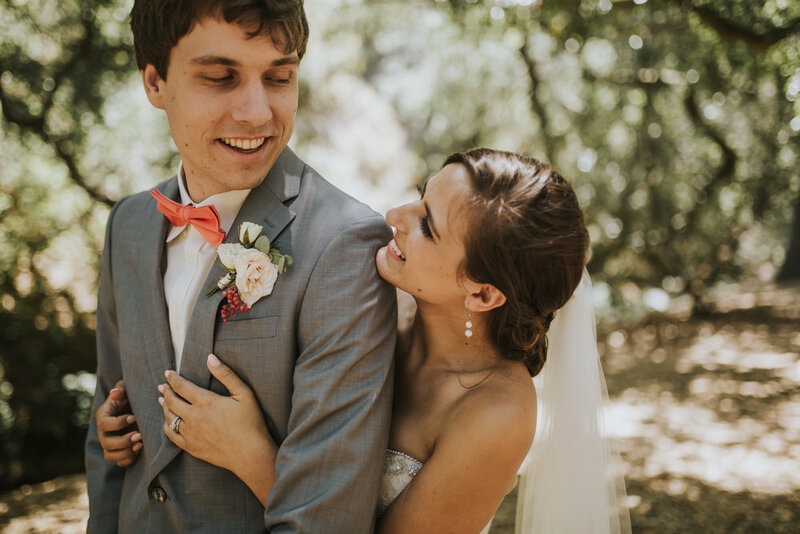 It's intimate and really special and takes the pressure off: Often, the expectations of whether or not you're going to cry at the ceremony, or everyone being so focused on the groom crying at his beautiful partner walking down the isle is a lot of pressure for a couple to handle on their wedding day. The First Look reserves all of those emotions for each other, minus the expectation and stress of everyone else's eyes on you. It's so beautiful to witness those moments of pure love and vulnerability in a quiet place and being able to capture those. 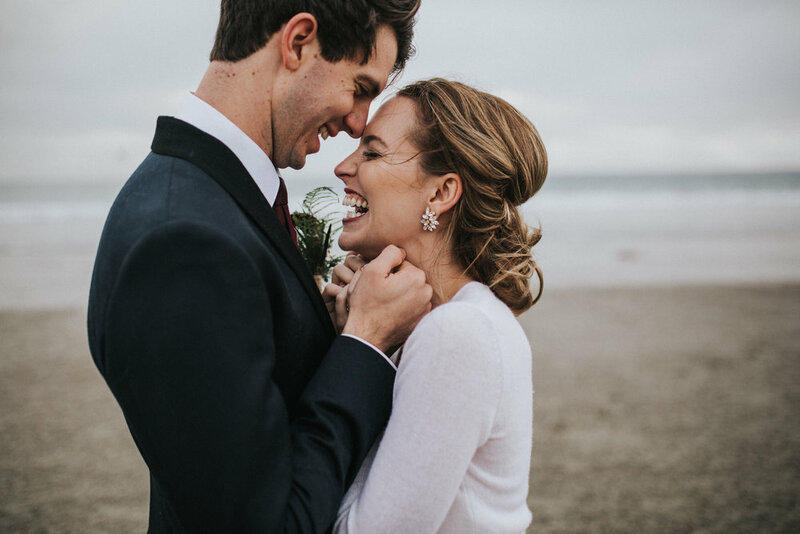 You can also really feel those emotions and hold your love in those moments, if you're seeing each other at the alter/ceremony location, you have to wait until the formalities are over to really hold each other and awe at them. 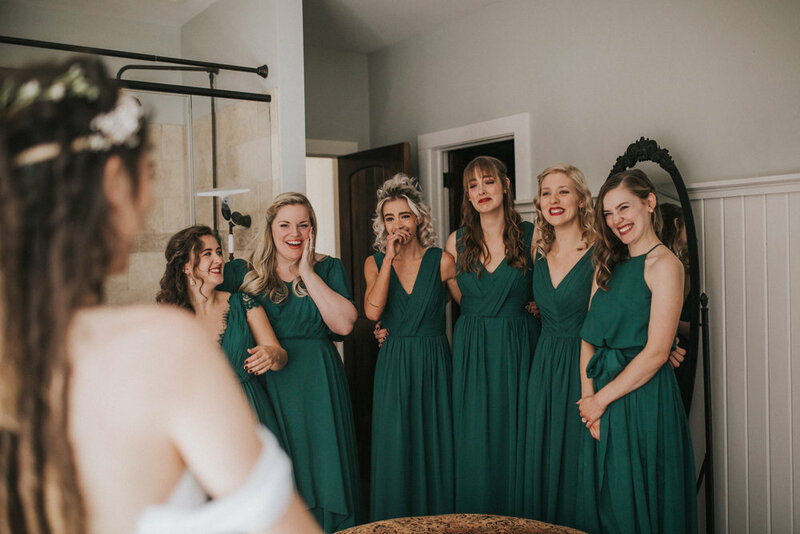 You don't have to tiptoe around: If you've ever been in a bridal party where the bride and groom have waited until the ceremony to see each other, you'll know it can be a little bit of a dance to try and not see each other. Especially if you're all getting ready in the same location. A first look makes this SO much easier. As soon as you're ready and dressed, you can do your first look and hang out together before the ceremony. You can write each other a private letter: Not everyone wants to write their vows, particularly because they can be very vulnerable, and a first look is a beautiful chance to share those vows and words with each other in their presence, on your wedding day, but without having to expose your heart to your family and friends (which isn't for everyone). A private letter outside of your vows, is such a sweet thing to share with each other. My husband and I keep ours in our room and often re-read over them and remember those moments we saw each other before our own wedding and it's so special. It works with your timeline: You can choose exactly where you want those photos to happen and often having those extra images together before the ceremony help if the timeline of the wedding day going a little late and you don't have very much time for sunset images. It's actually in your favour timeline wise to have your first look done first (you can see in the example timeline below). *its really important that if you do choose a first look, that it's just you and your partner. Having other people along taking photos with their phones defeats the intimacy and purpose of the First Look. Time for the vows and the legal marriage ceremony. Wherever this is, a church, outdoors, the mountains as a backdrop, you want it to be perfect right? Here are some of our biggest tips for having a beautiful ceremony. Choose backlight: Check out the spot you're going to get married in, and try and keep it backlight (the sun is behind the arbor). This will ensure the photos are flattering for you, and that you aren't squinting to try and see your future spouse. If you're getting married in the middle of the day inevitably, choose a completely shaded spot if possible (under a tree with no dappled light). That will also keep you from passing out under the heat of the sunshine. Write your own vows: Unless you've already shared your special vows with your partner in your first look and don't want to share those words in front of your guests, write your own vows. It's SO special to see the real emotion of your own words manifest as you speak them, and it makes the ceremony much more special and less formal. Also, often times those vows help you get over your nerves. Make it pretty: You can make any spot beautiful for a ceremony if you add a beautiful arbor or backdrop. This might be the job of your stylist or florist, chat to them and see what they can create. When in doubt, choose an outdoor location that is already incredible (like the peak of a mountain or with the backdrop of one, or the opening of a highly forested area). If you're feeling adventurous, do a fun exit: This is not essential, but can be so fun: give your guests compostable confetti (or flower petals) to throw at you as you walk down the isle after you're announced. Bubble also work or sparklers if it's at sunset look beautiful. Request no one takes photos: As your photographers, we ask so kindly: please ensure your guests don't bring their giant cameras and try and do our job for us. It interferes with our ability to be mobile and get in the spots we need to, and sometimes obstructing our view of you two might make us miss those special moments. Even at your ceremony, ask for unplugged and make sure no one is holding large ipads as you walk down the isle (it happens more than you think). You'll be much more grateful when you get to post your wedding announcement with our professional photo rather than a very zoomed in and blurry iphone photo from a guest. bride + groom, family photos. Without a doubt, the family photos and bride and groom photos will be your most treasured images from the day, and will also be your families most treasured images. It's often the only time your entire family is in one spot at a time, so it's important to have a great approach to the photos. Choose a simple location: You'll be trying to fit a lot of people into one photo so maybe choose a simple coloured wall or even your ceremony backdrop. Keep it simple and easy to see so anyone who might be lost knows exactly where to come and find you. Also have it somewhere the rest of the family can stand around and stay close by without getting in the way of the image. Choose sunset for Bridal Photos: This is a given. But all of those amazing photos you've seen online? I guarantee 90% of them were taken at sunset. Even if it's cloudy, that time of the day yields the most beautiful light so don't let it pass. If you're trying to do all your bridal photos in the middle of the day in an open field, they're not going to look like the rest of your photographers portfolio. Sunset time and the time immediately after (blue hour) are the most stunning and flattering times to take your images. Even if you have to sneak away for 15 minutes during your reception to capture these images, trust me, it's worth it. Keep the bridal party images quick: Most of your bridal party party images can be done within 15 minutes if everyone is participating and cooperating well. Usually if you have two photographers on the job, they'll split up the group after getting the group shots and achieve the images much quicker. Make sure you request any specific images you'd like with your bridal party otherwise because this is the time to do so! Keep your photo time private: Like we mentioned about your first look, keep your photo time private. You're not going to feel comfortable if you've got people taking iphone photos of you like an entourage. You also can't give us your full attention if your guests are talking to you while you're having your photos taken, and the way we direct you will yield the best images possible. Trust us on this one. Also, a lot of families don't understand photo taking so they'll try and fix your dress when we want it to be nice and messy and flowy! Create ambient lighting: Although we're very experienced in using our flashes, we'd prefer to work with whatever ambient lighting you have available. This means string lights, lots of candles, even a spotlight to backlight your dancing on the dance floor. We'll use our flashes for some fun dancing photos, but we'd still love to see some warm lights. This also creates a beautiful mood for your night, setting a feeling for others to relax and dance under the moonlight but still enough light to see their dinner (and not trip over!). Feed your vendors: Please please please, feed your vendors! While it might not be your number one priority on the night (because you gotta eat too! ), your planner or coordinator, musicians, photographers and videographers should all have a meal. Most of the vendors are on their feet for hours (we are working full days, sometimes on our feet for 12 hours). We should be eating at the same time as you to ensure we don't miss any important moments, and if there's a speech or toast happening in that time, we'll make sure we capture it. Try and keep the speeches short and sweet: This will ensure your timeline doesn't run behind schedule. Give everyone a strict 5 minute limit to chat about you and your partner and make sure everyone who has a speech knows beforehand and is prepared. Unless you want to open up the floor for people to make speeches, make it clear that it's just those who have been asked/volunteered are the ones to make speeches. An hour and a half of speeches is only going to make your timeline very behind and leave less room for partying! Don't be afraid of the outdoors: This means, don't worry if you don't have a wet weather backup. *everyone gasps*. Outdoor receptions are so fun, and while the tent might be good in case of rain, if it pours, it really won't hold up. Save the money and be prepared to just shuffle everything into a covered area if it really does rain. But a little sprinkling will never hurt anyone. Also, your guests will loosen up if it starts to rain and you'd be surprised how much fun a little bad weather can be. Don't skip an exit: There are two main reasons you shouldn't skip an exit. 1: it lets people know that the party is over (and if you have to do cleanup or have a strict lock up time this is perfect) and 2: it's such a beautiful way to end your night. Your sparkler exit won't cost more than $50 and it gets everyone together and working on a team to light their sparklers in time. Throw on your favorite song, and head out to start your married life together. Here are some example times you can use as a template to optimise your wedding. Don't feel obligated to use these, but these fit within our allocated time of coverage. We've handpicked some of the best local vendors that we love as people and for their talent, so if you're still in the market for all of the following, get in touch and let them know we sent you. Price range is shown based on the number of $ next to their name. Josie and Tay are two of the most talented and kind ladies we’ve met in the industry. Their vision for florals exceeds the regular style and trendy arrangements, and they create classic and beautiful florals specific for the lover of flowers. As a team, they care so much about the intimate details of your arrangements, choosing flowers they know are special to you and coordinating colors perfectly with your vision. Katie is without a doubt, one of the most talented florists in the industry, and residing just outside of Portland, she’s close enough to Portland to be one of our favorite local florists. 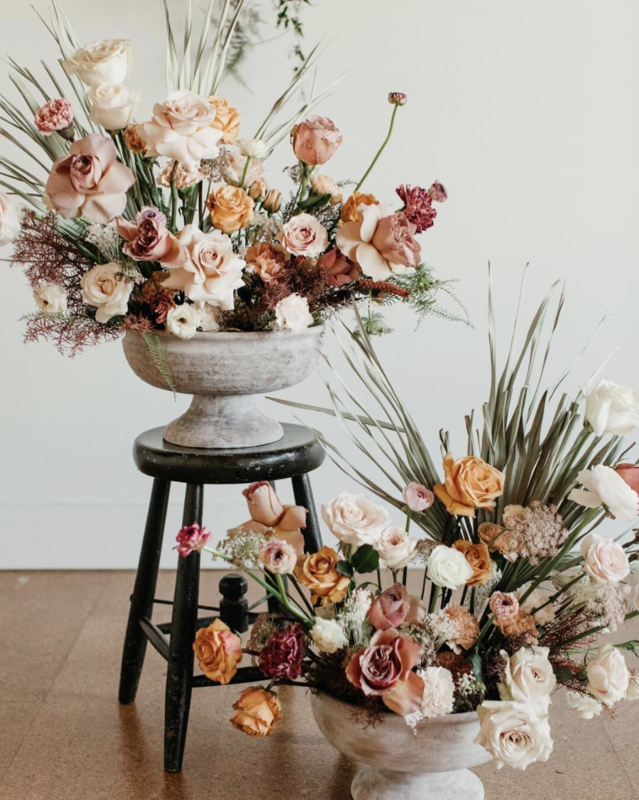 Now primarily teaching workshops, she is super selective with the weddings she does, but her vision is beyond outstanding and if you can find her in town during your wedding, she’ll make all your floral dreams come true. We highly recommend her arrangements for your elopement, if you’re not spending much other money on other arrangements besides your bouquet. Her bridal bouquets are outstanding. We can’t say enough good things about Heather and the team at Sea of Roses. You want someone who cares about uniqueness? About an industry-changing approach to your florals? You’re at the right place. Heather cares SO much about stepping outside of what is trendy and cool and pinterest-esque to create something that everyone will be talking about. Working with her will be a treat too, she’s a friend of ours and tell her we sent you! 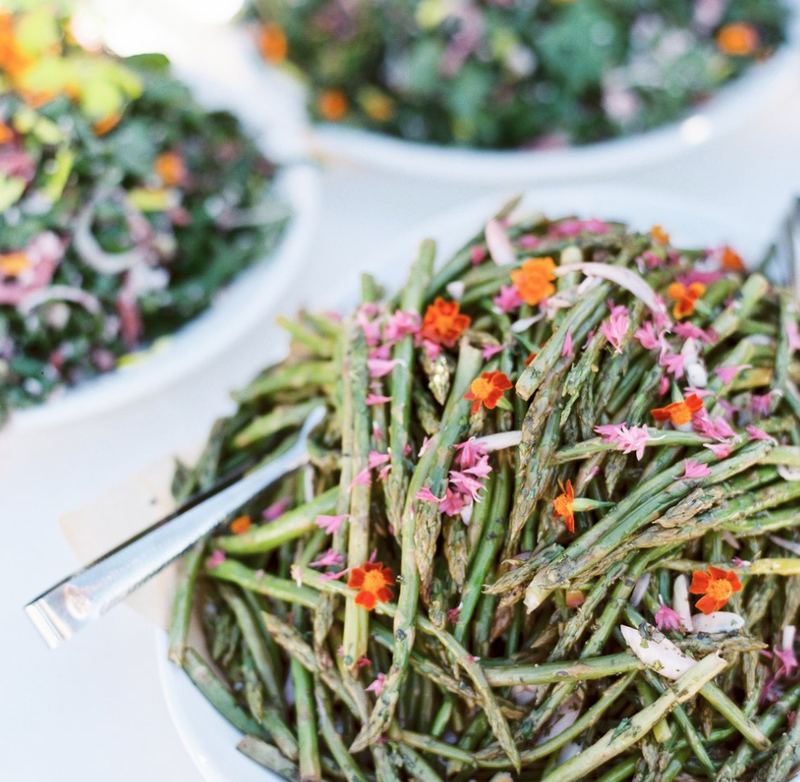 If you’re extra on a budget with flowers, or they aren’t a priority for you, we recommend foraging for your own greenery and maybe if you’re lucky in the spring and summer, you can visit one of these farms to collect your own flowers. Foraging: It is legal to forage in certain areas for certain things. You should check out this interesting article for more information and locations you are allowed to collect natural things. Farms for flower collections are mostly based on Sauvie Island and in Salem, just google whichever flower you’re most interested in, and you’ll find a farm for it! Manda is one of the most hard working, creative and influential people in our local community. She’s managed to scale a small side passion into a full blown, multi person team business. But that doesn’t mean you’ll be forgotten about; her attention to detail is unbelievable and we absolutely love working with her. 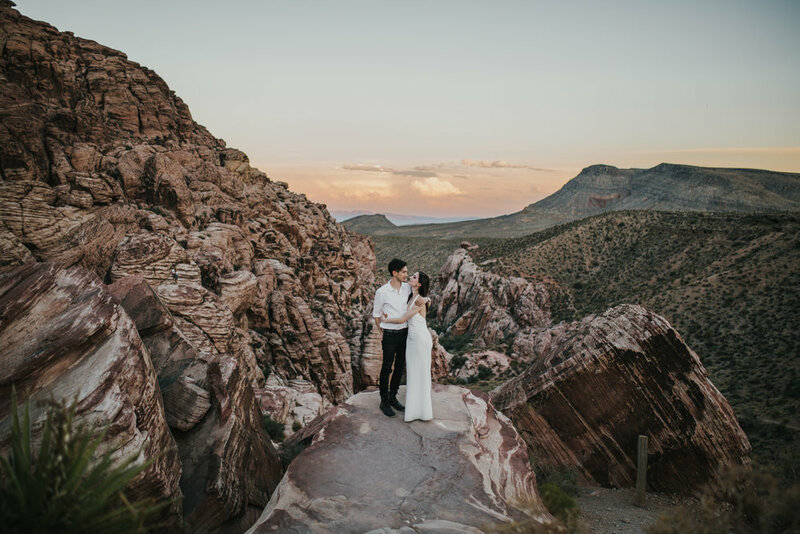 Having a cool elopement somewhere? Another reason to book her. She’ll turn your simple elopement into the most extravagant date night you’d ever imagine. Katy is one of our favorite vendors we’ve worked with this year. Her attention to detail and her love for the vendors she is working with, leads to a happy team, and thus a fantastic wedding. She makes sure everything is running on time, people are where they need to be, but also isn’t a high maintenance or stressful presence to be around. A planner should be someone who can help things go smoothly and brings a calmness to a wedding, and I’ve never seen someone do that as well as Katy. Planning + Day of Coordination. If you’re a gift giver, a lover of the tangible, a romantic or someone who just really loves handwritten notes, investing in paper goods is a MUST. Andi at OldCity Mailroom is such a sweetheart, and her calligraphy and care for paper is way more advanced than most people I know in the industry. She’s an angel of a human and will definitely look after you. Lacy is one of our past brides who has become not only a great friend of mine, but also my own personal hair dresser. She’s incredibly affordable and so accomodating to the needs of others, and her flexible schedule makes her the perfect person for a wedding. She’s worked on multiple elopements and weddings with us now and I will never not refer her magical skills to others. Who can say no to Pips Donuts on cake? Definitely not us! Sugar and Sparrow have the most beautiful tiered cakes that are unique every single time they make they (who thought that was even possible?!) and are the loveliest people. Even if you’re not big on cake, these cakes are a statement piece that will be beyond enough to feed your guests. Aandbe Bridal Shop on NE Alberta is one of the top wedding dress stores in the city. If you’re looking for an affordable dress, or a lavish dress, or something boho, classic, whatever it is, they have it. And they stock some of our favorite designers too. With a varying rang of dress prices, you’re definitely going to walk in there and find something you love. Whit is a total babe. Being one of the biggest and busiest makeup artists in Portland, she’s definitely a hard one to book. But we’ve worked with her on a few weddings now and she’s so attentive to detail, fast and efficient, and always makes sure you’re comfortable with how you look. Its a good idea to do your makeup trial before your engagement session too, so you can see if you’re happy with how your makeup photographs. And if Lacy is unavailable, Whit also offers Hair as an add on!